The Autoglym Luxury Bodycare Collection contains 3 of Autoglym's best selling products, ideal to give your car that professional looking clean. 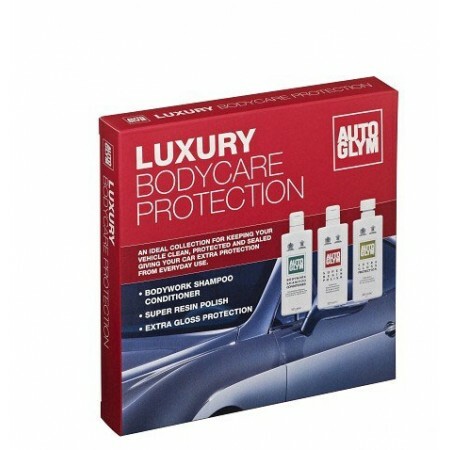 The Autoglym Bodywork Shampoo Conditioner quickly removes traffic film and general grime from your car, leaving a protective, glossy film to preserve and refresh the shine. It contains special ingredients, which form the glossy water repellent barrier, extending the effect of the shine. Simply put one capful in a bucket of water and wash as per normal. 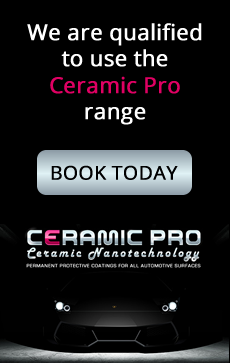 Periodic polishing gently removes harmful surface contaminants, the Autoglym Super Resin Polish imparts a tough, glossy, protective barrier to preserve expensive paintwork from harsh environment. It is ideal for use on moderately deteriorated car paintwork, including metallic, clearcoat and water based paint finishes.